We need to do more to inspire through practical application of maths and science in real life scenarios. "Alarmingly, the recent Programme for International Student Assessment (PISA) results highlighted that 45 percent of students in NSW are unable to apply mathematics in real life." The second report in two weeks showing our students are falling behind in maths, science and reading -- not only behind their international peers, but also slipping compared to previous years -- has served as a stark wake up call. Despite our current focus on the need to develop these specific skills to spur innovation, the approach is simply not working. As the debate around school funding and teacher quality continues, it is time to take a look at what else can be done to tackle the problem. 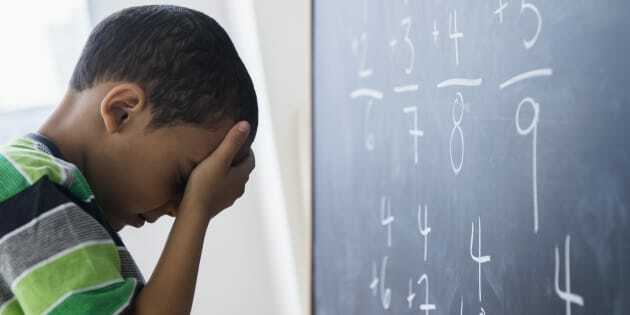 Alarmingly, the recent Programme for International Student Assessment (PISA) results highlighted that 45 percent of students in NSW are unable to apply mathematics in real life -- and mean scores across all areas have declined nationwide. The impact of science, technology, engineering and mathematics is all around us. How we harness this is key to innovation, business growth and our nation's long-term economic growth and success. The key is to extend beyond the classroom. We need to do more to inspire through practical application of maths and science in real life scenarios. This will help children understand how the things they do and experience every day are grounded in STEM. It's actually not that hard to do -- just look at the bottle flipping craze sweeping through our schools -- imagine if students could get a competitive advantage by having a deeper understanding of the physics behind the game -- for example gravity, fluid dynamics and angular momentum. Cultural institutions are critical to capturing the minds of young people to help them take an interest in STEM and develop a passion for discovery and the creation of new things and ideas. Museums complement the work going on in our schools. Creating this 'learning culture' is at the heart of what we do. For years, children have physically engaged with STEM at our sites -- the Powerhouse Museum, Sydney Observatory and Museums Discovery Centre -- and other cultural institutions around the country. For generations, cultural institutions have complemented school curricula and the excellent work of our teachers. But the current decline in STEM skills simply highlights the urgent need to engage our young people in diverse ways. A study commissioned by the Office of the Chief Scientist and released in July this year challenged the singular focus on disciplines such as maths and science as the foundation skills for innovative enterprises. It found that a range of non-technical skills – typically those derived from the humanities, arts and social sciences – are equally important to turn technical skills and knowledge into innovative outputs. Acknowledging the role of art and social sciences, we have just launched a new Centre for STEAM which uniquely incorporates the Arts with STEM subjects. Currently most STEM initiatives are siloed within traditional disciplines -- maths, science and technology -- but increasingly we see the need for a more cross-disciplinary and whole-of-curriculum approach to STEAM. For example, there are moves to make coding a mandatory syllabus requirement. Skills like coding and digital literacy have a role to play in virtually every subject area. Incorporating Art into the equation not only focusses on the important role of creativity but highlights the interconnectedness of visual-spatial abilities and scientific endeavour. But it's not just a challenge for our Museum. Cultural institutions nationwide must embrace their role in our nation's education and more broadly, future innovation. Engaging people at a young age, rather than trying to change their minds once they've already "checked out" of maths or science, can drive behavioural change across the country and complement the many efforts to improve what goes on in our schools.